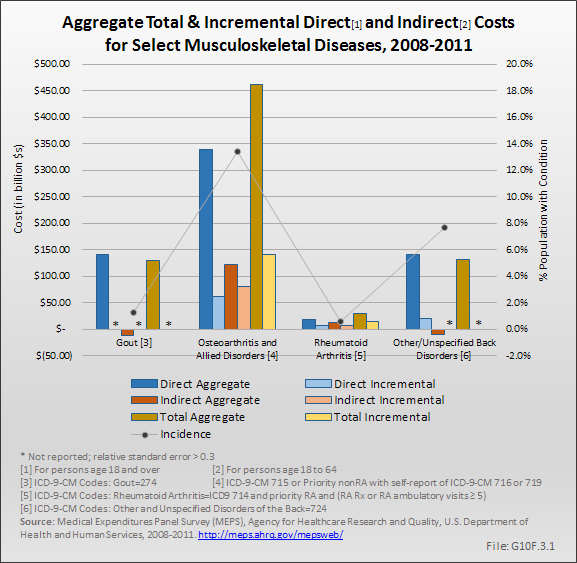 The ICD-9-CM codes used in the economic impact analysis by musculoskeletal diseases fall into the two categories of base codes and expansive codes. 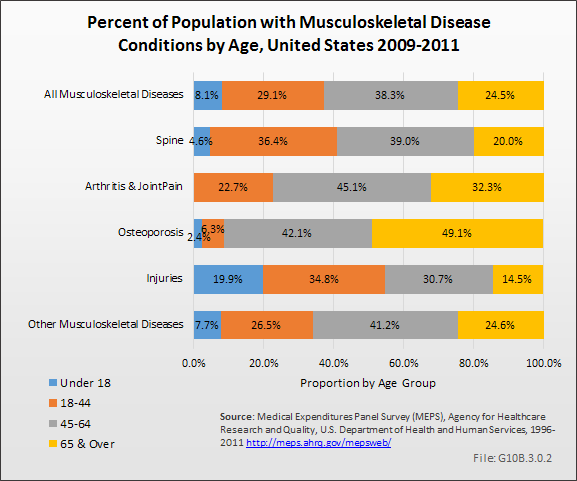 Conditions included in the base musculoskeletal disease rubric include spine conditions, arthritis and joint pain, the category that includes osteoporosis (other diseases of bone and cartilage), injuries, and an inclusive “other” category for the remaining conditions. 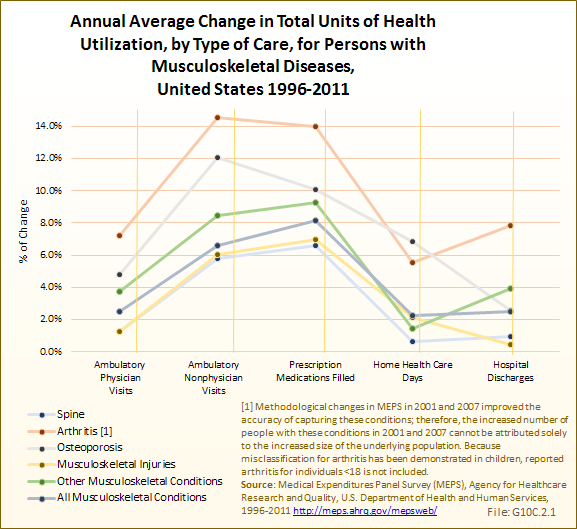 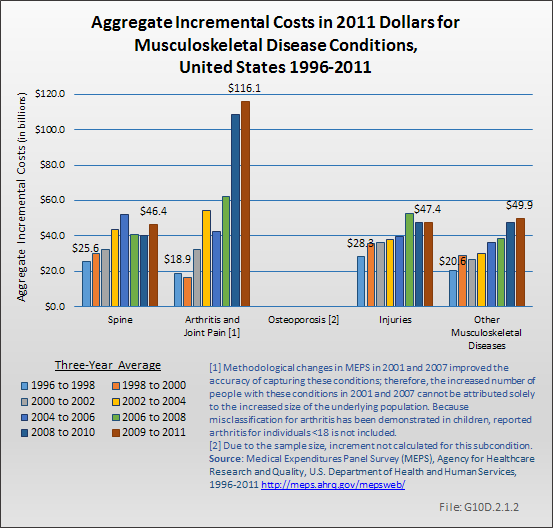 Conditions selected for the cost analysis presented are based on condition topics included in this site. 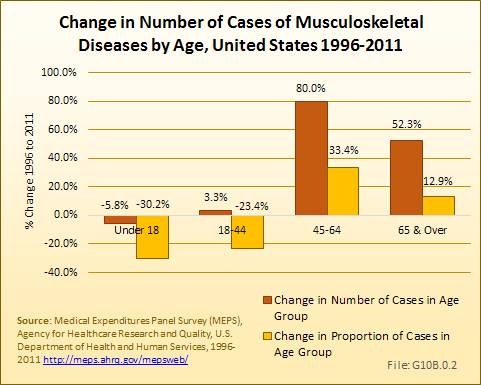 Data are reported primarily for base case ICD-9-CM codes, or those codes for which musculoskeletal disease is the principal cause of the condition rather than a consequence of another major health condition (eg, bone cancer metastases from another primary cancer site). 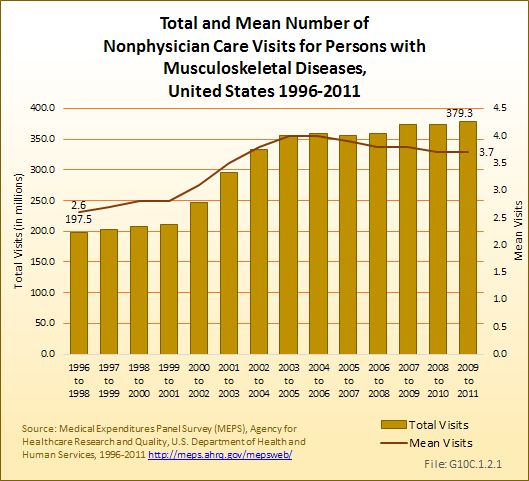 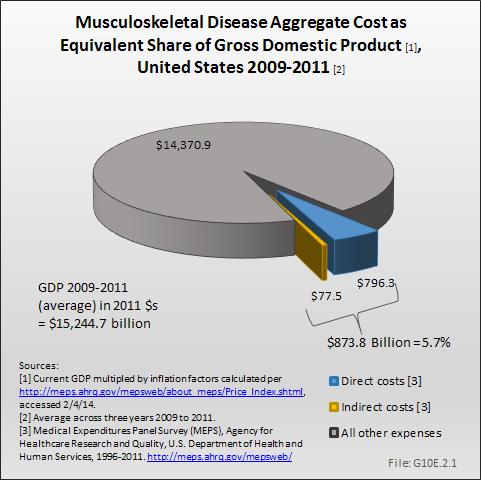 Estimates are also provided for a more expansive list of codes of musculoskeletal-related diseases that include conditions for which musculoskeletal diseases are either the primary and secondary cause of the condition. 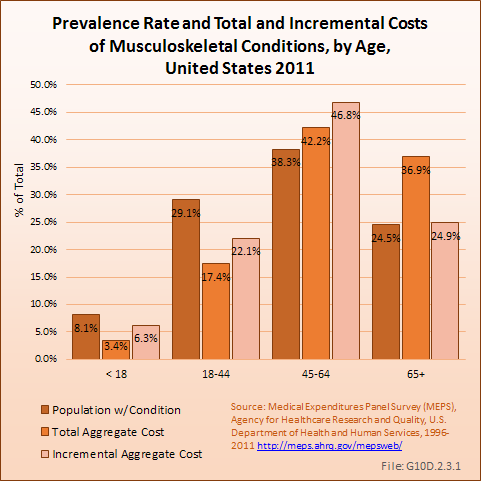 This more expansive list of conditions yields a vastly larger prevalence estimate than the base case list. 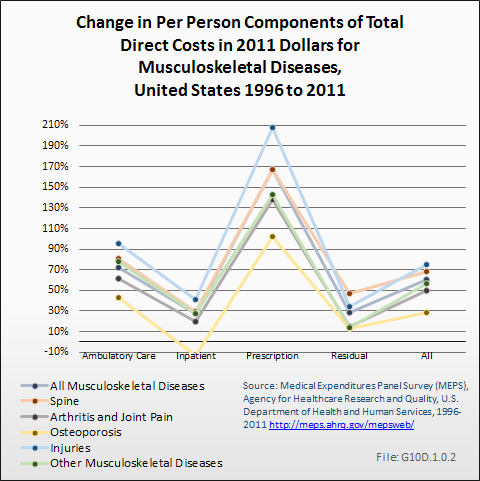 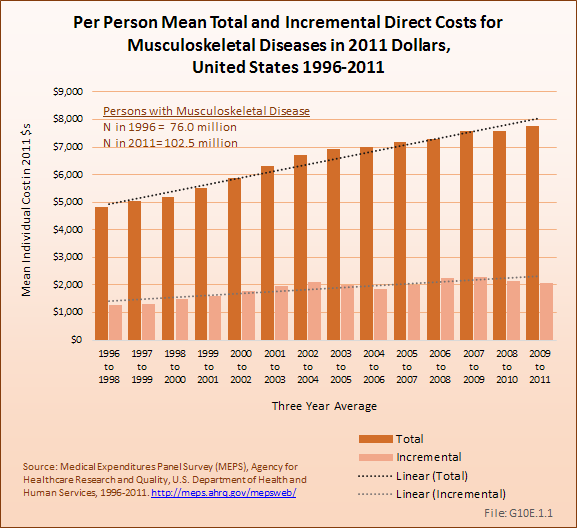 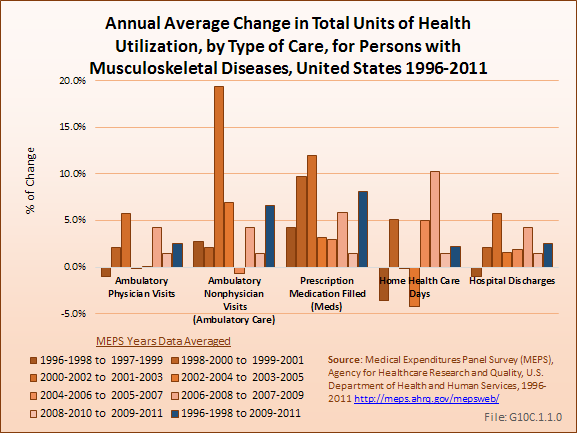 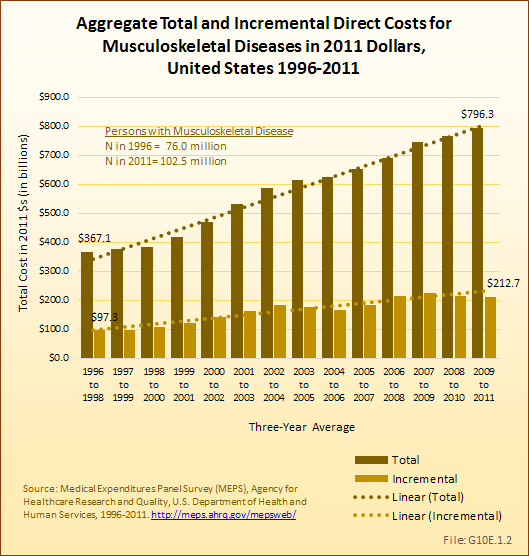 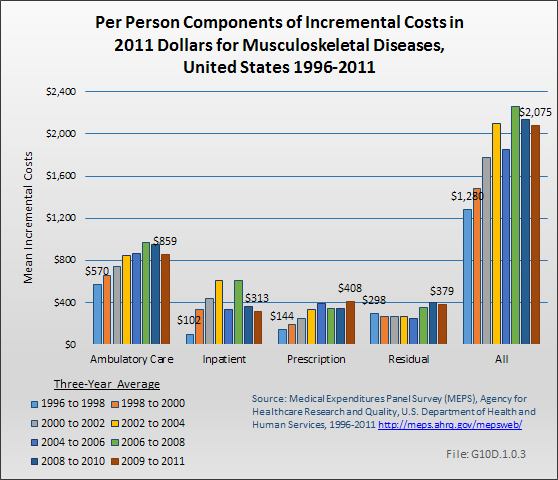 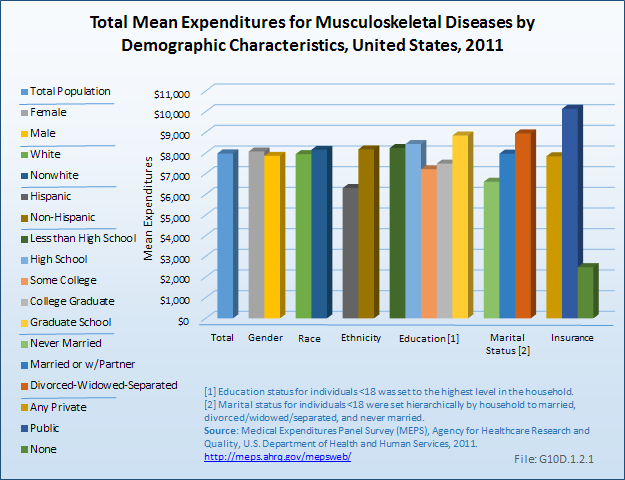 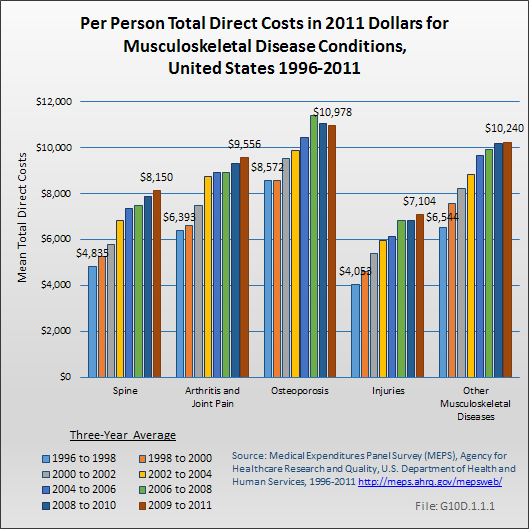 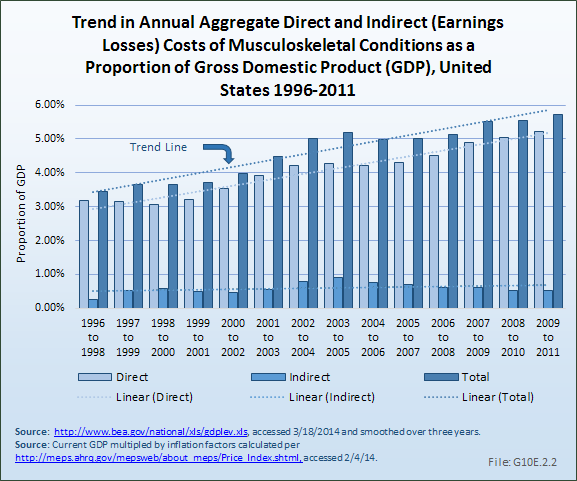 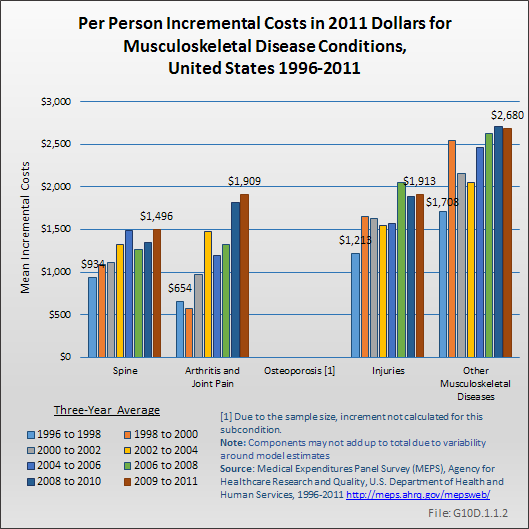 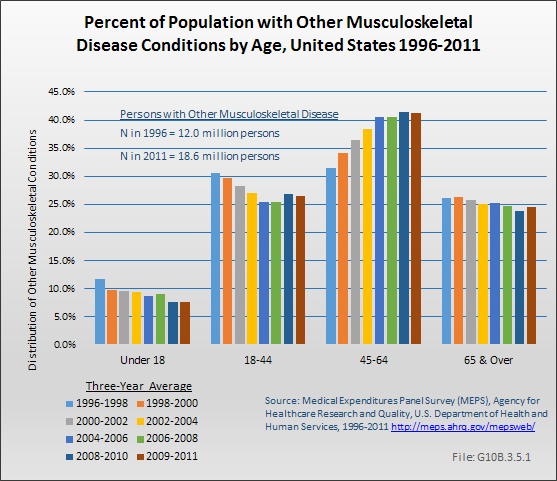 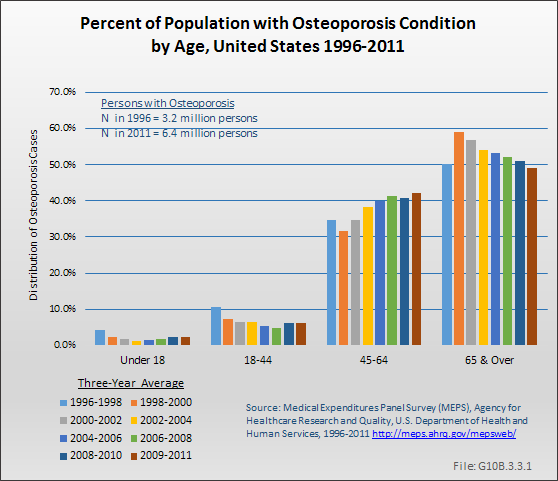 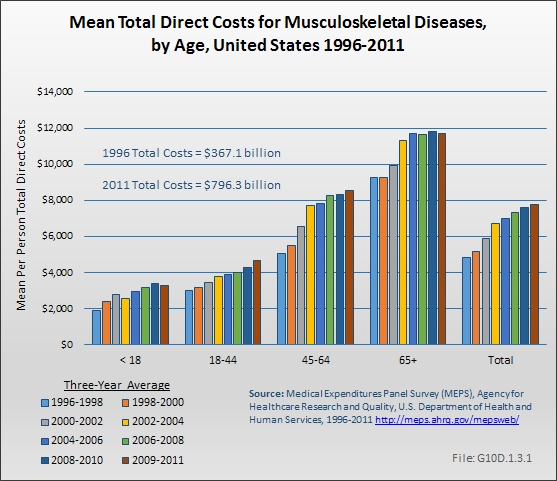 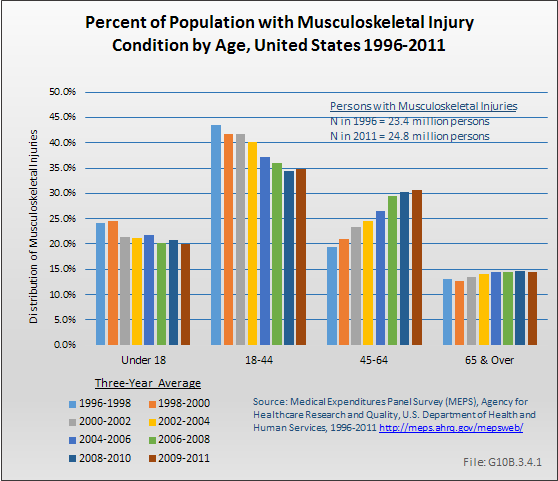 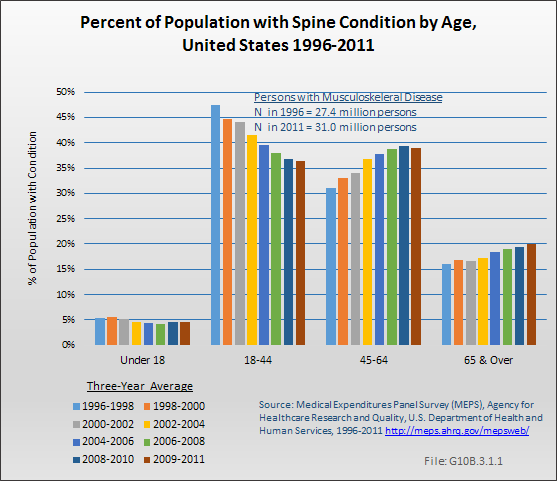 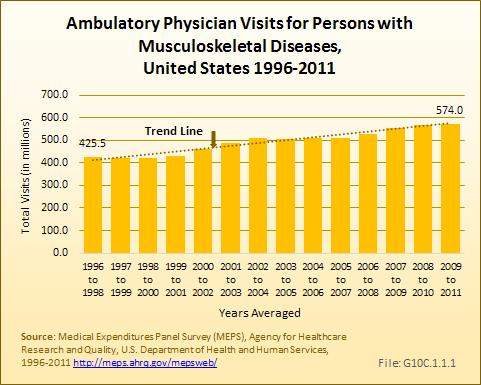 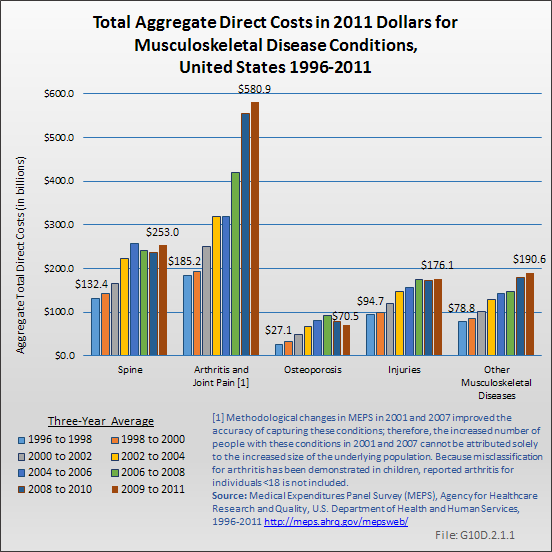 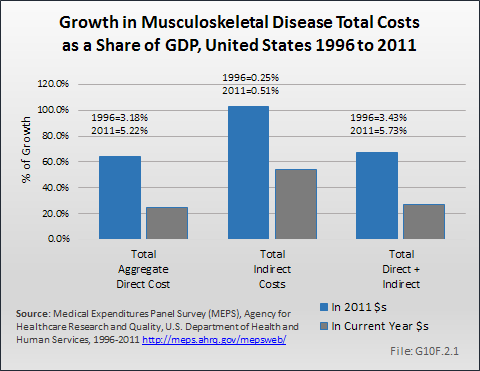 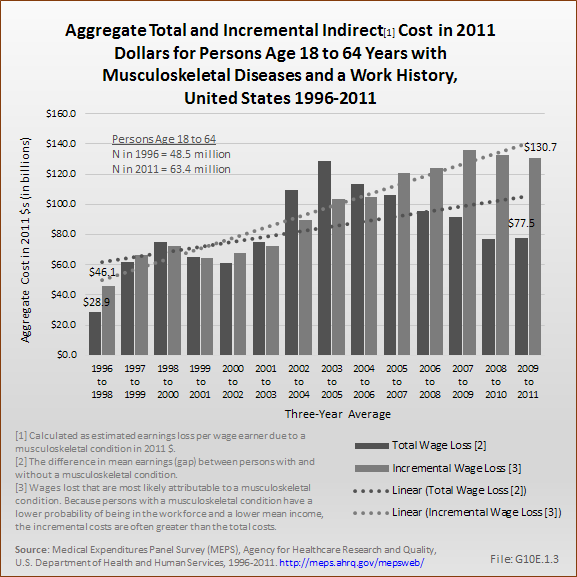 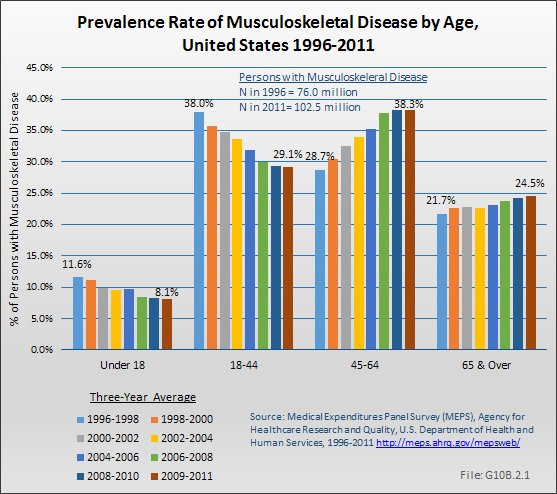 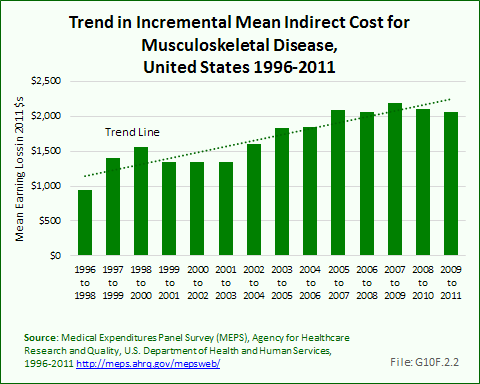 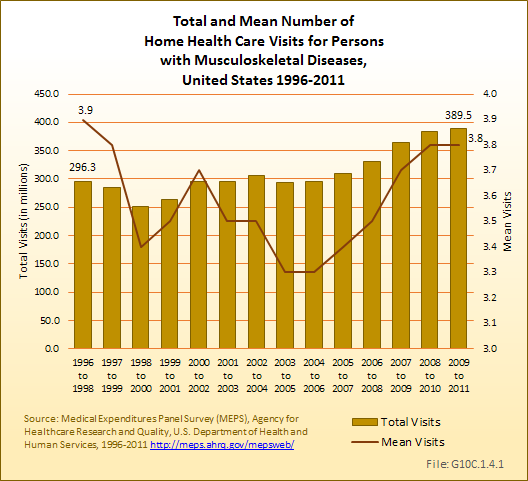 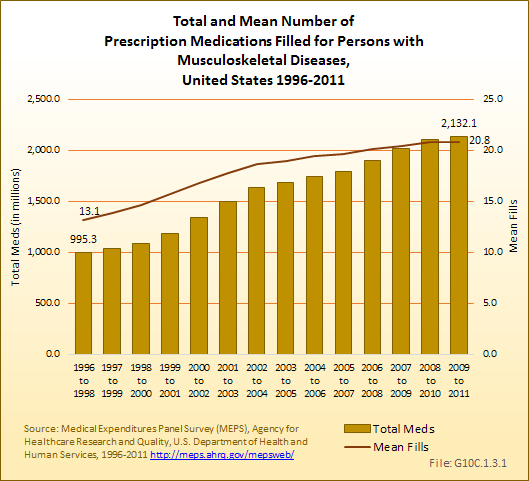 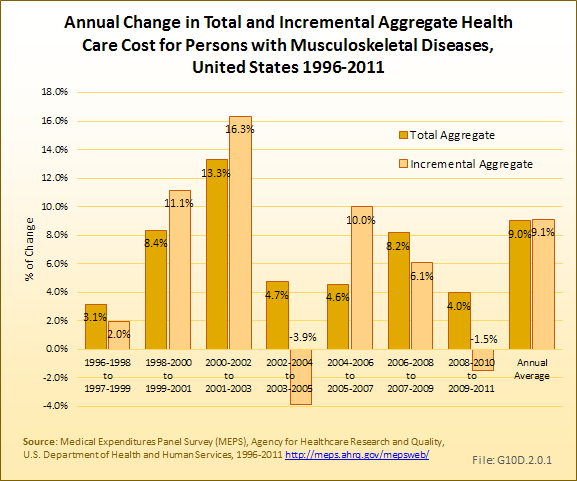 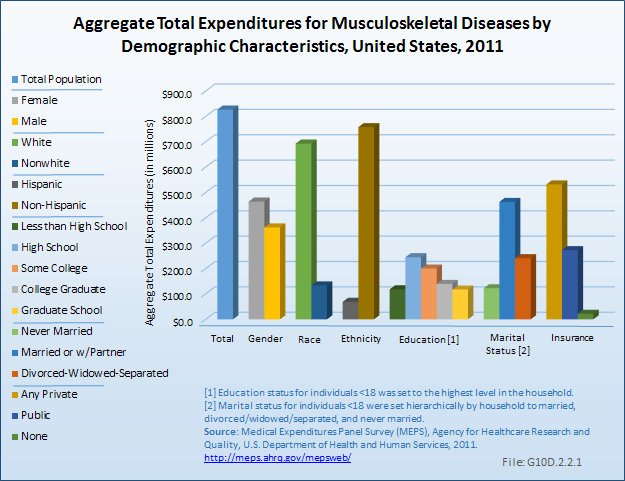 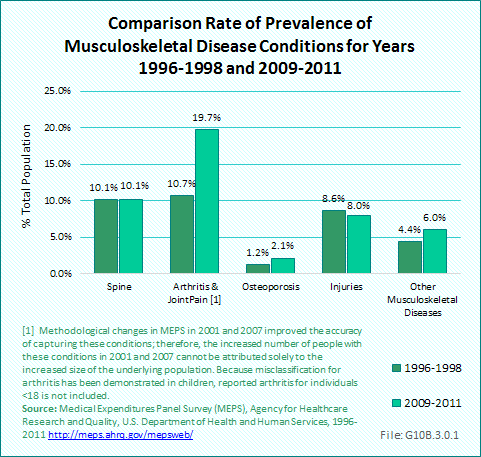 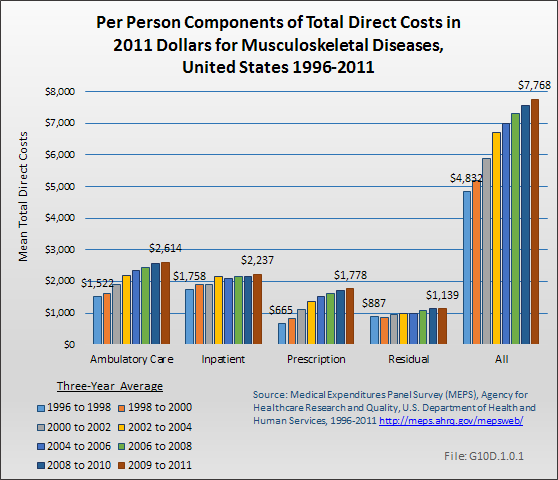 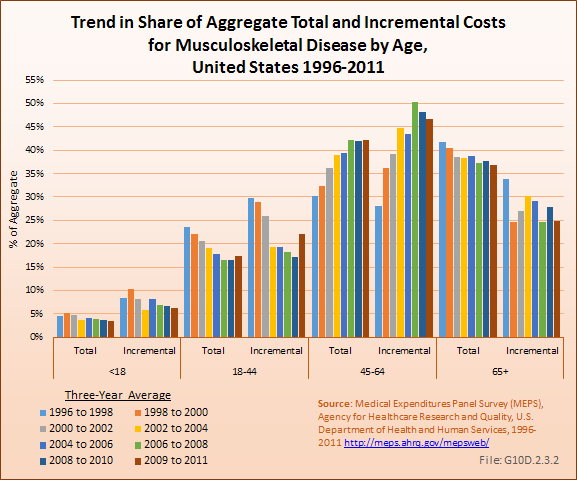 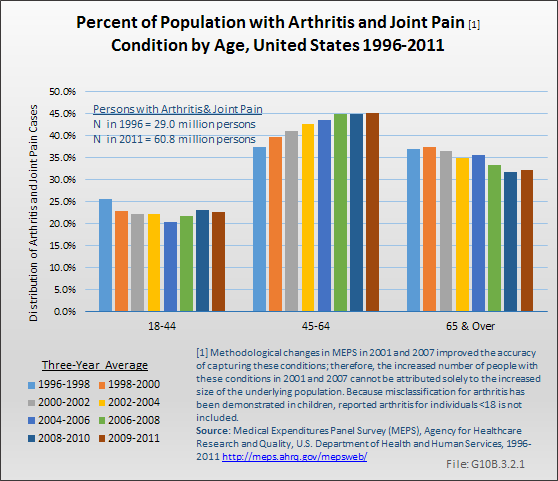 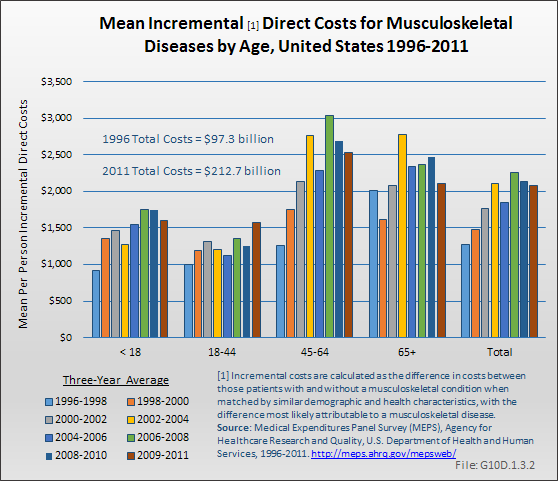 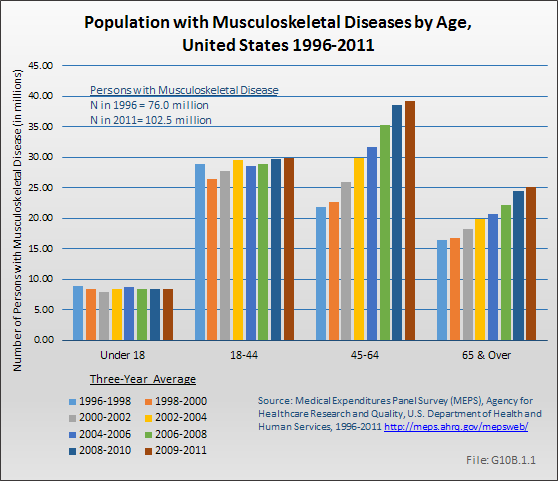 However, it is reasonable to assume the cost of musculoskeletal diseases probably exceeds the conservative estimates presented here. 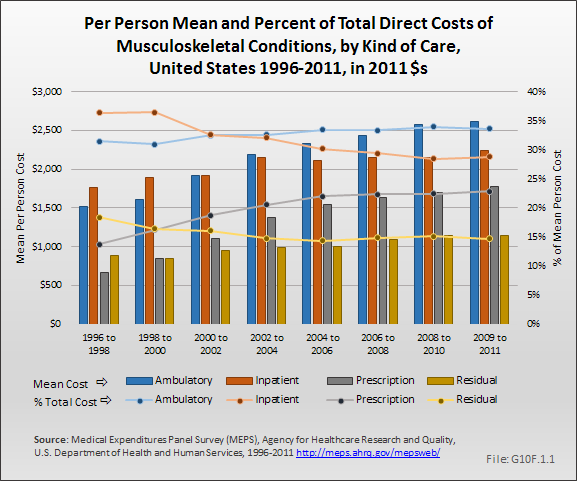 For example, a person with bone metastases would incur costs to treat the bone manifestation, even though the cancer, not the bone condition, is the primary etiology. 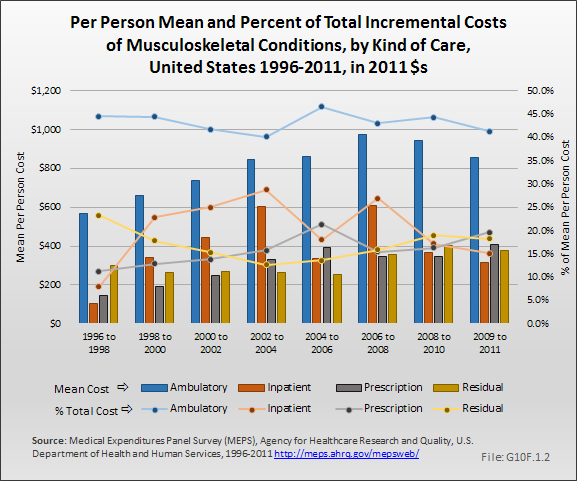 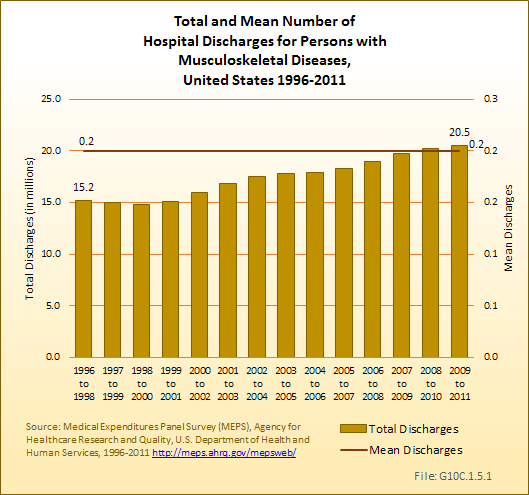 ICD-9-CM codes included in each subcategory for the base and expansive conditions are listed in subsections.